"I don't feel any pressure right now, but I might in a few weeks," confesses Kwabs with a laugh from backstage at Bulgaria's Spirit of Burgas festival. Anticipation surrounds his debut full-length Love + War, out September 11. With Mercury Prize predictions and praise from the likes of Joss Stone, India.Arie and Jessie Ware, the South London artist born Kwabena Sarkodee Adjepong is poised to be one of 2015's breakout R&B stars. Raised in foster care and trained in jazz at the Royal Academy of Music, Kwabs credits his ethnomusicologist teacher Xanthe Starr for introducing him to the National Jazz Youth Orchestra. Appearances on the nationwide talent search Goldie's Band: By Royal Appointment and a cover of James Blake's "The Wilhelm Scream" on YouTube landed him a deal with Atlantic. 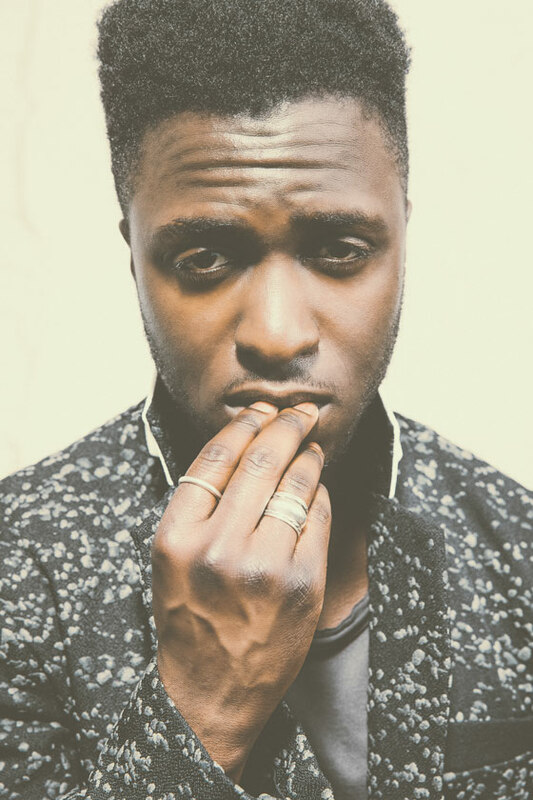 Love + War follows the same stylistic path as Kwabs' previous three 2014 EPs — Wrong or Right, Pray for Love and Walk (the title track of which was an international smash, peaking at #1 in Germany) — a fusion of heartfelt, personal lyrics over modernist synthesizers and beats, his resonant, rich baritone already an indelible, sonic trademark. "Love and war felt like who I am," he explains of the album's title. "Most of us, as humans, are combinations of disparate parts coming together trying to work themselves out. I thought that Love + War served to summarize that. To be human, we have to be able to wrestle with and be comfortable with a massive spectrum of emotions. That's what I'm exploring on this album. "I've been recording for the last three years. I was exploring musical elements that I liked and didn't like. How I like my voice recorded. It's basically come down to writing songs, and writing a lot of them so the actual process of making the album has come down to me picking material that best represented me at this particular point in time — that best represented the statement that I wanted to make as an artist this time around." And in the event that Love + War doesn't fulfill commercial expectations, it's still all good to Kwabs, who is embarking on a satisfying artistic journey. "This life is already amazing, because every day is wonderful. So I'm just going to go with the flow and enjoy each part of it as it goes along."